Dutch dairy giant Friesland Campina reported a full financial year revenue increase of 10.8 per cent to €11.4bn boosted by volume growth and higher prices. According to the company, the improved result was due primarily to volume growth in the three strategic growth categories (infant nutrition, dairy-based beverages and branded cheese), the passing on of the higher guaranteed price, far-reaching efficiency improvements in production and cost control in the European operating companies. Cees ’t Hart, CEO Royal FrieslandCampina noted its profit amounted to €157m. “Our profit was adversely affected by a goodwill impairment and negative currency translation effects in the second half of the year. Without this goodwill impairment profit would have risen by 17.6 percent to €327m,” he said. Among key developments in 2013 was the opening of new FrieslandCampina Innovation Centre in Wageningen by Queen Máxima and its acquisition of a 7.5 per cent interest in Synlait Milk Ltd in New Zealand. It terms of its outlook for 2014, the dairy giant said it is remaining cautious. “2013 proved how difficult it is to predict what the dairy market will do. The rapid rise in the listed prices for commodities and the persistently high price level throughout the year took producers and customers around the world by surprise. 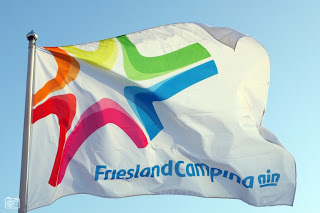 Friesland Campina is, therefore, remaining cautious in its forecasts and is not making any predictions regarding the expected results for 2014,” it said. In 2014 Friesland Campina said it anticipates achieving further growth with infant nutrition and dairy-based beverages in Asia and Africa and has taken increasing competition from local suppliers of dairy products into account.